Send money in real time. Minimise delays. Load money securely and instantly, wherever the road goes. So much more than a fuel card. 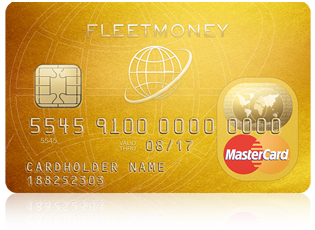 As a prepaid card, the Fleetmoney Mastercard® relies on available balance. Simply load or unload single card accounts online whenever necessary. In case of emergencies, you can react right away. Not only does Fleetmoney absolutely adapt to your individual business needs; Fleetmoney fleet cards are also more secure than cash or credit cards. Fleetmoney is ideal for medium to large companies as well as solo entrepreneurs and can complement or even replace your fuel card solution. Cash is good – control is better. Monitor and optimise your fleet expenses and improve fleet management efficiency. A central interface, with online banking and card management, means that you always keep an overview of balances and expenses and can react immediately where necessary. Depending on your requirements, you can also set up individual account systems and approval processes for transactions. Want to optimise your fleet management? We are happy to advise you directly via our service hotline +44 203 667 85 55 and of course you can also simply send us an email.